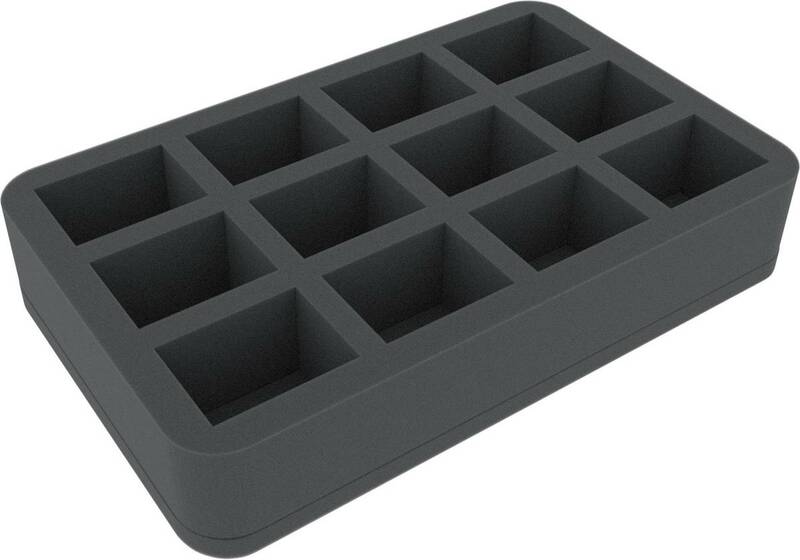 The foam tray is divided into 12 compartments. It is ideal for safe storage of larger miniatures or game material. 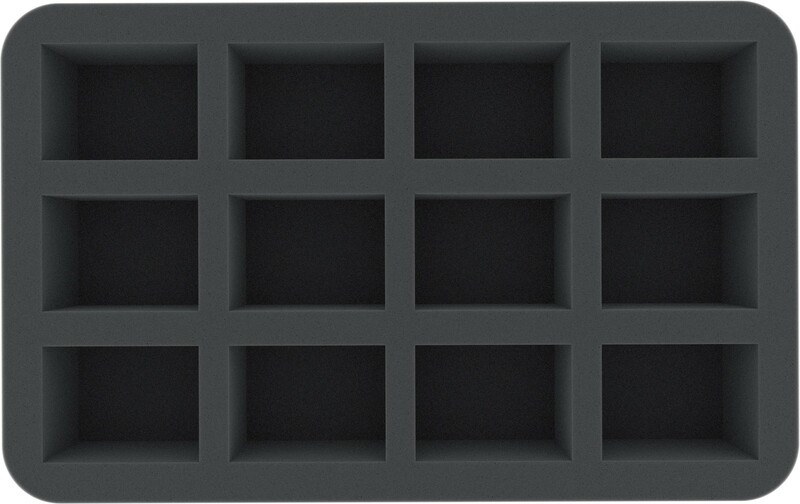 The Half-Size foam tray has the dimensions: 275 mm x 172 mm x 50 mm (40 mm usable height + 10 mm foam base).